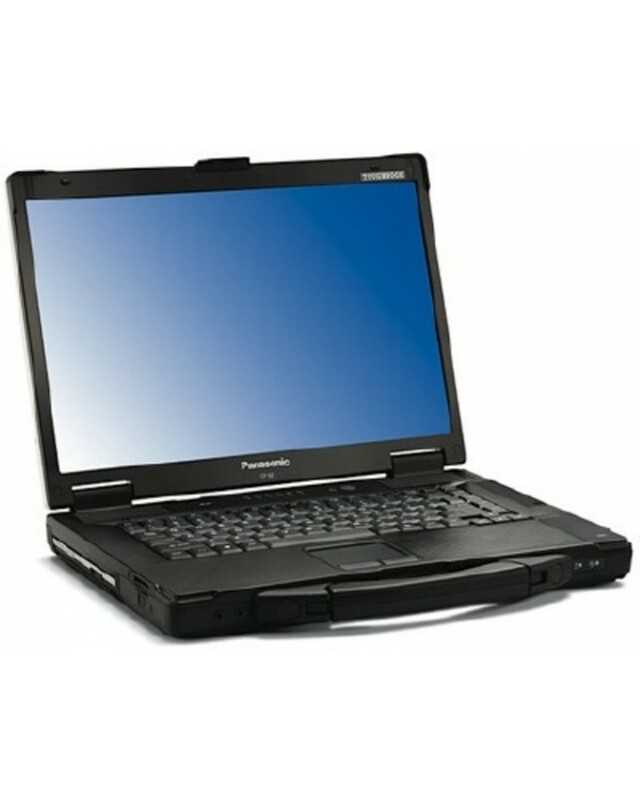 The rugged Panasonic ToughBook CF-52 laptop. The CF-52 is a high specification, i5 rugged toughbook with a high 1TB HDD and 8GB memory, perfect for onsite situations, war zones or clumsy children. Rugged build quality, almost indestructible. 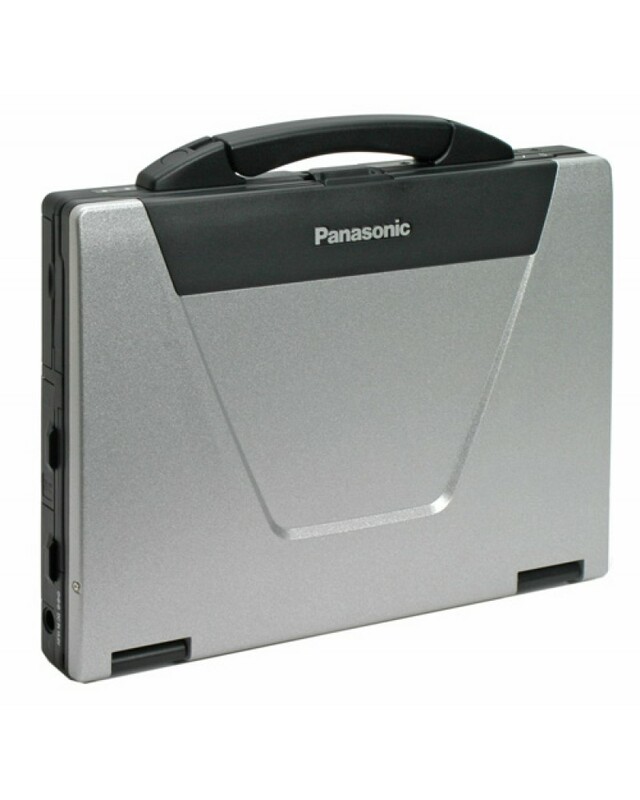 …this rugged ToughBook made by Panasonic is both reliable and impressively durable. You could drive over this laptop in a tank and it would still be usable. Panasonic's ToughBook CF-52 comes closer to an indestructible notebook than anything we've seen. This big, "ruggedized" laptop not only absorbs the abuse of the clumsiest executive or a foot soldier in the field, it also provides phenomenal battery life and good performance. At more than £1,900 new, it' was also twice as expensive and twice as thick as your everyday business laptop. Panasonic builds this laptop for military personnel, police departments, and a certain breed of traveller who inflicts damage on laptops. The laptop lives up to its rugged name, with a hardened magnesium-aluminium case, shock-mounted hardware, a waterproof keyboard, and rubber seals over the openings. To test Panasonic's claims, a leading laptop review site dropped the ToughBook CF-52 three times from 36 inches onto concrete, then sprayed it with water. 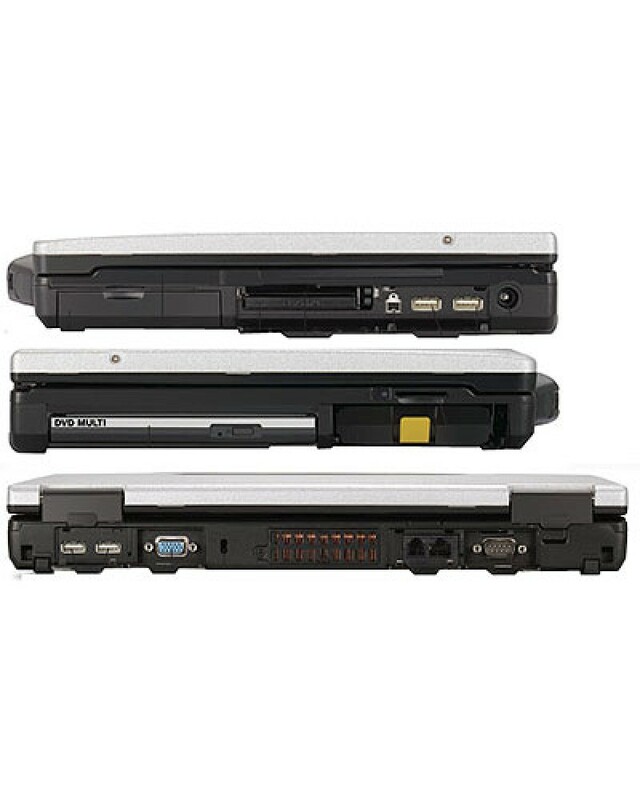 This would've reduced most laptops to a pile of wet parts, but it had no effect on the Panasonic ToughBook CF-52. if you happen to see any BT engineers working out in the field, you'll more than likely see them tapping away at a ToughBook - this ToughBook in fact. And if you happen to be a member of the AA, you can be sure that your friedly breakdown engineer will have a CF-52 in his van. These machines are built for one thing and one thing only - to operate in the most hostile environments. All our laptops come with a 12 month warranty for your peace of mind.